This Mercedes-Benz Sprinter Cargo Van also includes Power Driver's Seat, Clock, Tachometer, Tilt Steering Wheel, Power Steering, Power Windows, Driver Airbag, Passenger Airbag, Intermittent Wipers, Side Airbags, Keyless Entry, AM/FM, Anti-Theft, Off Road Tires, Cup Holders, Body Side Moldings, Daytime Running Lights, Reverse Camera, Side Curtain Airbags, Roll Stability Control, Tire Pressure Monitor, Overhead Console. Buy Now for $39,990! LOADED WITH VALUE! Comes equipped with: Rear Air Conditioning, Bluetooth®. This Mercedes-Benz Sprinter Passenger Van also includes Power Driver's Seat, Clock, Tachometer, Privacy Glass/Tinted Windows, Power Steering, Telescoping Steering Wheel, Power Windows, Driver Airbag, Passenger Airbag, Intermittent Wipers, Side Airbags, Keyless Entry, Rear Defogger, AM/FM, Anti-Theft, Off Road Tires, 3rd Row Seating, Center Arm Rest, Cup Holders, Body Side Moldings, Daytime Running Lights, Reverse Camera, Side Curtain Airbags, Roll Stability Control, Tire Pressure Monitor, Premium Sound, Tow Hooks, Overhead Console, Aux. Audio Input.Buy Now for $39,990! LOADED WITH VALUE! Comes equipped with: Rear Air Conditioning, Bluetooth®. This Mercedes-Benz Sprinter Passenger Van also includes Power Driver's Seat, Clock, Tachometer, Privacy Glass/Tinted Windows, Power Steering, Telescoping Steering Wheel, Power Windows, Driver Airbag, Passenger Airbag, Intermittent Wipers, Side Airbags, Keyless Entry, Rear Defogger, AM/FM, Anti-Theft, Off Road Tires, 3rd Row Seating, Center Arm Rest, Cup Holders, Body Side Moldings, Daytime Running Lights, Reverse Camera, Side Curtain Airbags, Roll Stability Control, Tire Pressure Monitor, Premium Sound, Tow Hooks, Overhead Console, Aux. Audio Input. Mercedes-Benz vans offer a variety of features that all East Greenwich business owners will benefit from, regardless of whether you choose the Sprinter or Metris. 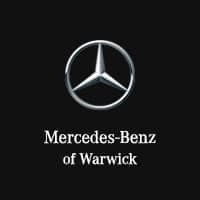 Mercedes-Benz of Warwick has a great selection of models to choose from and honors the national Mercedes-Benz van offers. Contact us today to explore your Sprinter upfitting options and change your Providence business for good.